Designing & Developing Powerful Cross-Platform Mobile Apps that Run Perfectly on Multiple Devices!! Although there are advantages to native applications, a well-made cross-platform mobile app make a huge difference and carry a lot more advantage to users by giving them access to their products on more than one platform. At Mobiloitte, we deliver apps for multi-performance by writing code once and making it work on various other platforms i.e., iOS, Android, and Windows mobile platform. With more than a decade of experience, Our team has proved its excellence in writing compact and clean codes on web technologies (CSS3, JS, HTML5, C#, etc.). We build beautiful hybrid apps with enhanced performance and develops required protocol stack such as RTP, HTTP, SOAP, XML, REST etc. With our huge experience of developing various cross-platform mobile apps for a wide range of mobile devices and platforms, Mobiloitte offers cross-platform application development services where apps are built by writing the code once and runs on multiple mobile platforms, which helps clients to get an app developed in lesser cost and time-frame. It is owned by Microsoft. Using Xamarin you can develop Android, iOS and Windows apps with C# codebase. One of the most prominent features of Xamarin is it allows code sharing in multiple platforms. It is also having a cloud service, which allows testing any number of devices. It is now owned by Adobe and is based on the open source Apache Cordova project and is completely free to use, which goes some way to explain its popularity. With its excellent features, PhoneGap has become the most well-known cross-platform mobile app development brand within the development community. Being a backend service it helps developers and enterprises to set up and operate a cloud backend for their mobile, tablet and web apps. 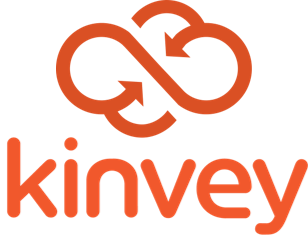 Using Kinvey (The leading enterprise Backend as a Service (mBaaS) platform) you can easily secure mobile data and identify, standardize backend integrations, and scale up or down with turn-on infrastructure. Its SDK allows developers to build on top of their core components, saving hundreds of man-hours of coding. On the other hand, there is an app for iPad as well which provides the fastest, simplest publishing platform for creating content optimized for mobile devices, without the need for programming skills. Cross-platform apps make you more number of users no matter the location, income or device type. Most of these tools let you focus on what matters the most: delighting your users. We understand market requirements and designs the right mobile strategy for your business. Our knowledge and experience in the cross-platform mobile app development combine in-depth research of different business verticals, ensuring the right implementation path for customer success.